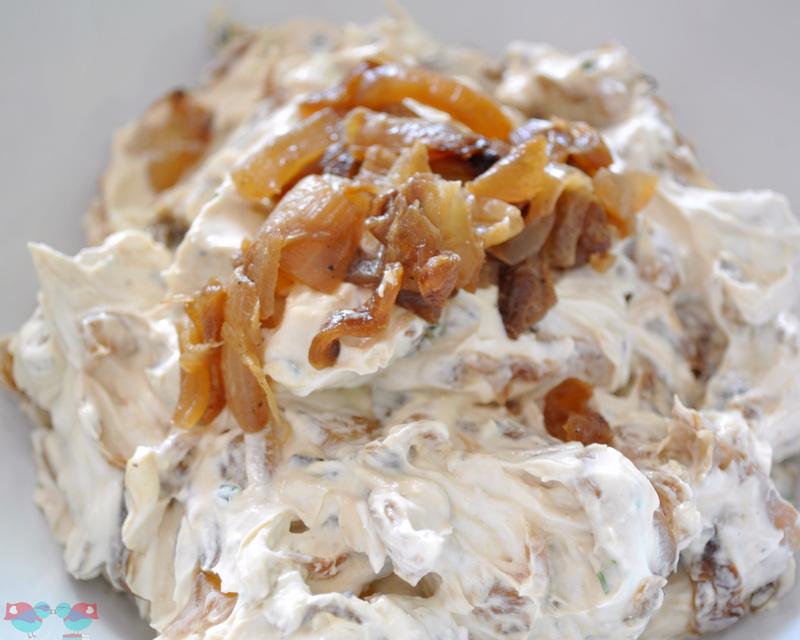 While I love the simple onion dip made from a Lipton dry soup mix, this Caramelized Onion Dip blew it out of the water!! For one, I love the smell of caramelizing onions; it made the house smell so amazing. 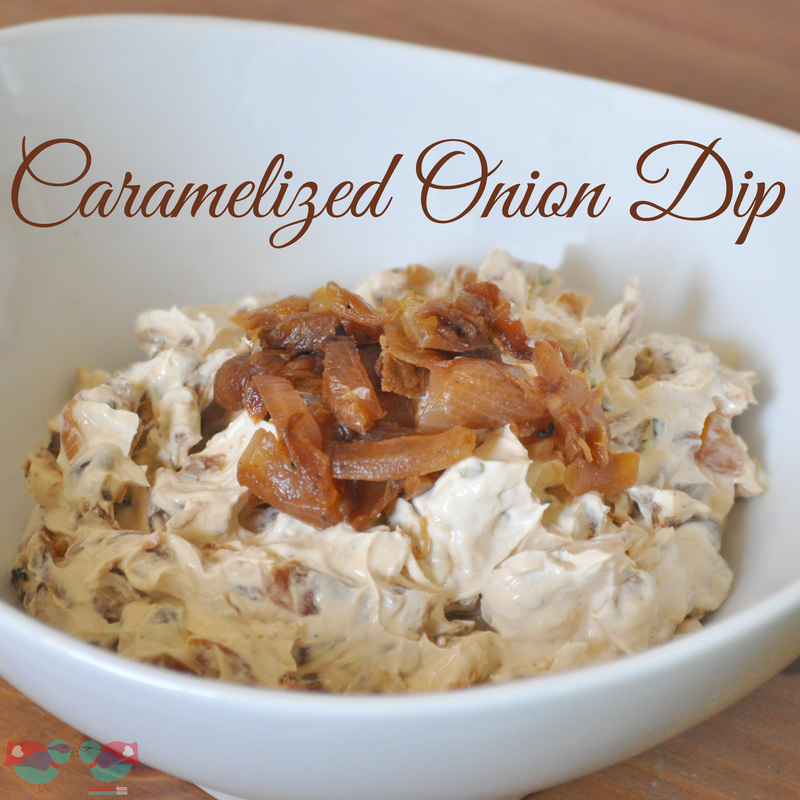 Two, this dip has the perfect sweet onion taste and a nice whipped consistency. You seriously cannot beat the freshness of this dip compared to the store bought kinda or even the Lipton version. I made this as an appetizer when my in-laws came over – serving it with potato chips and pretzel crisps; I can definitely imagine making this for a game day as well. I am going to be honest about this though – it takes time. 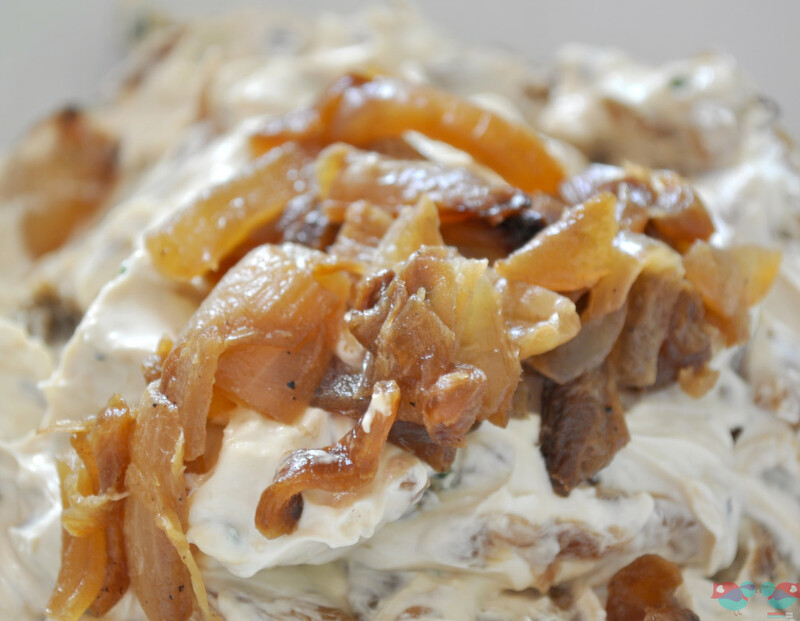 Caramelized onions always take longer than recipes suggest, which drives me crazy! It takes longer than 15 minutes to get that gorgeous deep brown appearance and that perfect sweetened taste. So, I recommend making this recipe early for your sense of timing. Plus, the recipe will taste even better if you let the flavor develop a little bit. Your pictures look divine. What a fun recipe for this upcoming weekend! I have all these ingredients! I’m soo making this! Pinning! That does look very good! Sharing on pinterest! Sharing on my In the Kitchen with Jenny FB page!! Oh my gosh! This seriously looks so good! Thanks for sharing! I promise it also tastes good! 🙂 I have been trying to come up with a reason to make it again.